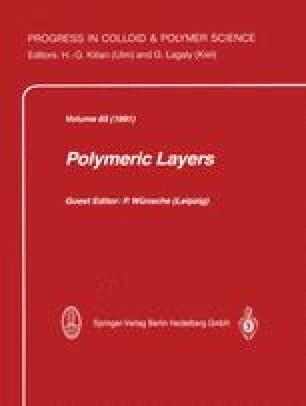 The use of thin polymeric control layers in spatial light modulators for optical applications is surveyed. Three major groups of light modulators with polymers as electro-optic components are introduced. Light control by diffraction is the principle of deformable light modulators, whose main varieties are membrane light modulators, thermoplast films, and elastomer layers; considerable research and development efforts, mainly during the last two decades, led to a wide range of proposed devices and a good understanding of their properties. The more recently invented polymer-dispersed liquid crystals operate with scattering as light-control mechanism; even though these materials are already found in practical applications, their investigation and development is far from complete. Finally, polymer films with electro-optic effects that are caused by molecules or molecular groups with large second- or third-order dielectric susceptibilities are briefly discussed; in such materials, light control is achieved by polarisation-dependent refraction or briefringence.